As the name suggests, this budget golf umbrella is for people looking for comparatively cheap maroon golfing umbrellas. Scroll below for more info. 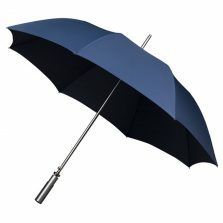 Looking for a budget golf umbrella? Check out our low cost budget maroon umbrella! 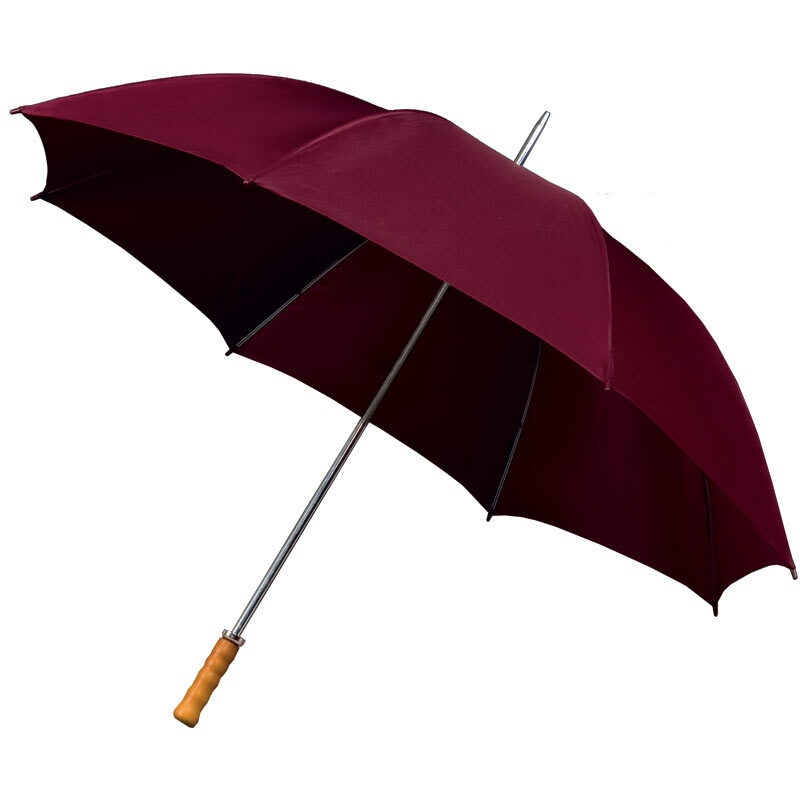 Offering remarkable value this popular, economy priced budget maroon umbrella has a varnished wooden handle. As well as a 76 cm (approx 29.5 inches) twin ribbed steel frame. Despite the low cost, however, this large budget maroon umbrella is nevertheless relatively good value. This is a full size manual opening maroon golf umbrella. Further featuring a canopy span of 116 cm (approx 45.5 inches) and a length of 102 cm (approx 40 inches). 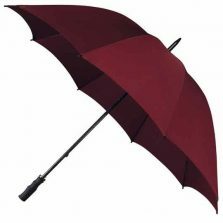 The budget maroon umbrella / budget golf umbrella is one of many different colours available. Our extremely popular Budget Golf umbrella range is host to all these colours. These cheap and cheerful Budget golf umbrellas are also ideal as a promotional incentive. They make a great logo umbrella for corporate giveaways at promotional events. Have your company logo screen printed onto one or more panels of any one of the 18 canopy colour options available. These great value low cost golf umbrellas are great for high volume purchases or when your budget is limited. Contact us now for a bulk purchase price and / or if you need them printed with your company logo – we’ll be happy to give you a quote. Please note – These large maroon umbrellas are not rated as completely windproof. Not the umbrella for you? Check out the rest of our range of quality golfing umbrellas!